This book is has been received very well for beauty and premise. 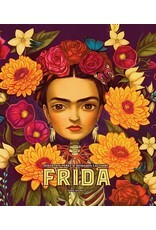 A sumptuous feast of a book, Frida allows the reader to enter this revered artist’s world, both literally and metaphorically. Through a series of consecutive die-cut pages, one is drawn in — passing through aspects of her life, art and creative process while exploring the themes that inspired her most, such as love, death and maternity. Iconic and visceral, her work has always had the ability to transcend borders and resonate with its honest and graphic depiction of the human condition. Until now, there has never been a greater homage. 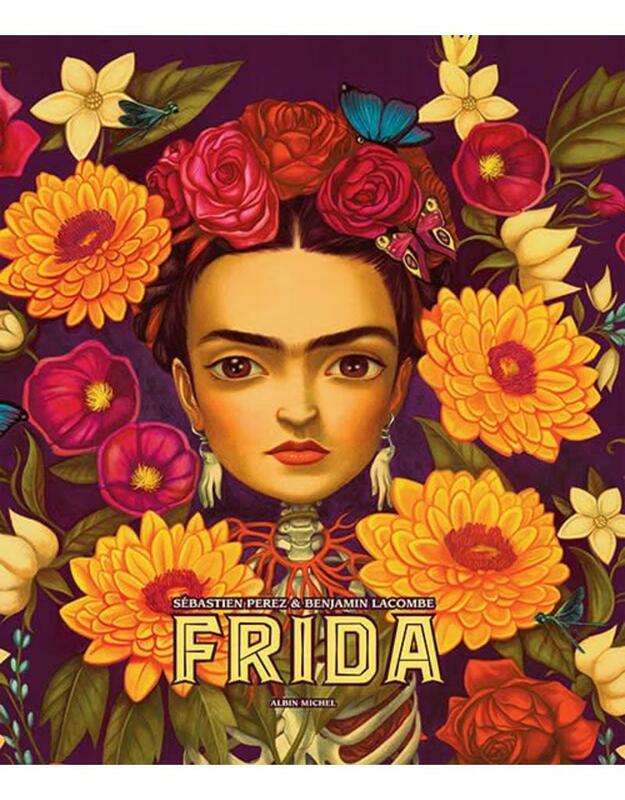 Excerpts from Frida Kahlo’s personal diaries alternate with Sébastian Perez’s poetic musings to give fresh insight and emotional depth, while Benjamin Lacombe’s stunning artwork masterfully conveys the symbolism and surrealism of her art. A must for any fan or bibliophile.